After Priyyanka Jagga, the very next contestant in the BIG BOSS 10 house who got eliminated last week is none other than another Indiawala candidate Akanksha Sharma. Every time clear indications are given that the Indiawala candidates are much more powerful than the celebrities, but the very first 2 eliminations are from common people category and proving the verdict wrong. 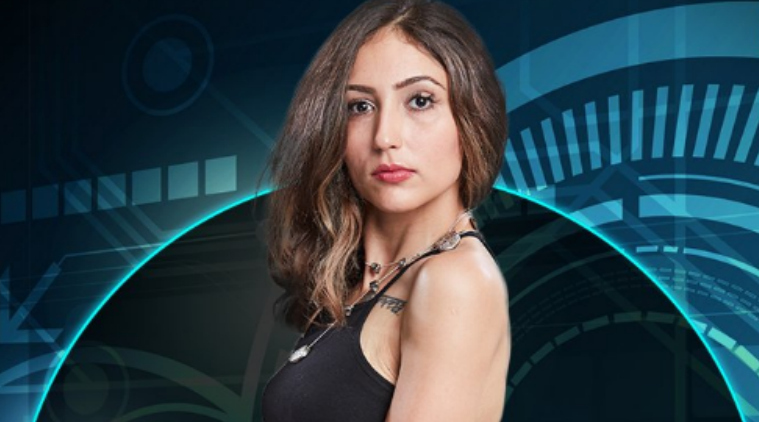 For Akanksha we can very well say that she failed to make her presence felt in the house and was eliminated in week 2. Although she represented common man but she is surely having a past which is very closely linked to celebrity life. She was sister in law of one of the popular member of Indian cricket family, Yuvraj Singh. She was not happy with her married life and mother in law and decided to call the marriage off in just 4 months time. She is just 25 years old and belongs from Gurgaon and by profession a writer. This beautiful lady does have a fascination towards painting, dancing and swimming. She loves spending time in water and won several awards as a swimmer. After her elimination she made revelations of certain facts about her life and in laws. She said that her mother and ex husband’s mothers were friends and they decide to get them married and it was just an arranged marriage and nothing else. She didn’t get the required time to know her husband Zorawar before marriage. As per her, Zorawar life remained completely behind the curtain as all attention and limelight was towards Yuvraj. As per her she was expected to play the role of a homemaker by her in laws and there was no financial freedom for her. What wrong exactly happened in the relationship is still unclear. Still she clarified that she has no grudges against her ex husband and his brother. We heard one side of the story from Akanksha and still we need to hear the other side of the story from Shabnam Singh, Yuvraj’s mother. Whatever may be the story what we can say again in conclusion is that as a contestant Akanksha Sharma failed badly to impress and entertain the audience of BIG BOSS 10.